1,560 pages | 812 B/W Illus. Handbook of Fluid Dynamics offers balanced coverage of the three traditional areas of fluid dynamics—theoretical, computational, and experimental—complete with valuable appendices presenting the mathematics of fluid dynamics, tables of dimensionless numbers, and tables of the properties of gases and vapors. Each chapter introduces a different fluid dynamics topic, discusses the pertinent issues, outlines proven techniques for addressing those issues, and supplies useful references for further research. 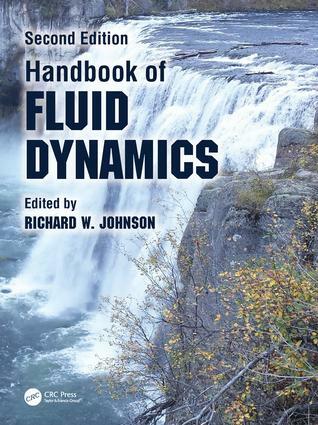 Handbook of Fluid Dynamics, Second Edition provides an indispensable resource for professionals entering the field of fluid dynamics. The book also enables experts specialized in areas outside fluid dynamics to become familiar with the field. "… a professionally written, extensive source of information … very useful to government, industry, and university researchers to plan future research tasks in analytical, computational, and experimental methods and applications." Richard W. Johnson is a retired staff member of the Idaho National Laboratory. He also taught fluid dynamics and heat transfer courses for the University of Idaho and Idaho State University, and was a faculty member of the Mechanical Engineering Department at the University of Kansas. He was active in the CFD technical committee of the Fluids Engineering Division of the ASME, serving as the chair and vice-chair of the committee and helping to organize symposia. He earned his BA and MS from the University of Utah, and his PhD from the University of Manchester Institute of Science and Technology (England).